Retal Urban Development Co, a leading Saudi real estate developer has launched Ewan Al Nahda, a luxury villa project located in the middle of three cities namely, Dammam, Dhahran and Al-Khobar. The project, which houses 38 villas carefully designed to suit all categories, is only 14 minutes away from Saudi Aramco, says a company spokesman. The units are diverse in design, majestic aspects and sophistication and they match the construction requirements set by Aramco. Each residential unit is designed to provide a comfortable and practical life for families within a positive residential environment. This is achieved through the distribution of natural lighting inside the unit, the internal division of the spaces and the distribution of the facilities, in addition to the backyard and privacy of the residents, he says. "The project is characterised by its modern and luxurious style and the perfect use of spaces, depending on modern construction methods. We leverage our expertise in architecture to provide safe, elegant and affordable options," he says. Retal has implemented a number of projects including Ewan Qayrawan in Sharqia. 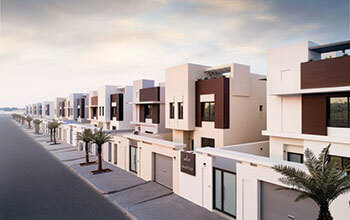 The company offers high-quality residential units with modern designs in unique locations, close to major oil companies and surrounded by main services and vital community centres. The Ewan Al Nahda project is located east of Gulf Palace on King Abdul Aziz Road leading to Aramco. "Ewan Al Nahda is part of our plans to expand our residential projects base and open sales offices in each project to serve the house seekers. Any customer can visit the project and will find a professional sales consultant to serve him perfectly," he says. Retal Urban Development Company has under its umbrella four companies with different activities, including Arab Engineering Consultancy, Nesaj Project Management, Building Construction Co, Tadbeir Property Management Co.
Retal is an urban developer focusing primarily on residential products and is keen to provide high quality products and excellent customer services to satisfy its residents. It now has 4 subsidiaries with total 500 staff of long professional experience to serve the company’s clients. The estimated value of the company’s projects is SR2 billion. Retal is located in the Eastern Province with several sales offices within its projects and the first showroom of its kind in the Eastern Province. "We are also operating all over the kingdom through our companies in Riyadh, Jeddah as well as the Eastern Province," he adds.